The last 2 years of Gabby’s life have been full of sacrifice. She moved far from her family in Virginia in order to train with top coach Liang Chow in Iowa. She’s endured the stress of her father serving significant time in Afghanistan as an Air Force sergeant. Now as the “Queen” of gymnastics, all the hard work and sacrifice has paid off. 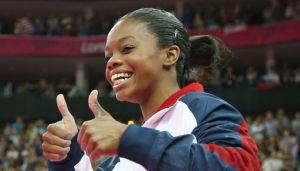 Undoubtedly America will get to know Gabby Douglas better in the ensuing weeks. There will be plenty of interviews and articles to shine light on this beautiful story of a sixteen year-old champion. 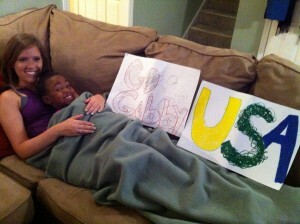 Gabby will be a role model to millions of young aspiring athletes, and especially African American girls. As the father of a beautiful African American 4 year-old girl (who happens to be an amazing gymnast), it brings me great joy to watch her put on her leotard and pretend to be Gabby. Not just because Gabby’s a stud athlete, but because she is a young woman of integrity and faith. Are You A Spiritual Baby?